Are You Thinking About a Renovation? Home renovations, especially kitchen and bathroom renovations, can get very expensive if they are not planned properly. Modern Era Plumbing and Gas Solutions will take the time to discuss your plumbing requirements and work with you to design a plumbing system that will run effectively and efficiently. We also provide the most up to date and innovative solutions and products for your home that are both energy efficient and cost efficient. When you’re renovating your kitchen, you want to ensure you’re prepared with the best professional plumbing assistance available. Modern Era Plumbing and Gas Solutions Plumbers are on hand to provide the right advice and ensure the job is done correctly so you can sit back and enjoy your new kitchen without any hassle. Whether you’re after new installations, upgrades and replacements, we’re available for your Adelaide based kitchen renovation jobs. Choosing the right sinks and basins for your newly renovated kitchen is something Modern Era Plumbing and Gas Solutions can help you with. You want to ensure you’re keeping the costs down but the style is exactly what you’re looking for. From stainless steel to ceramic and cast iron, single sinks to doubles, we will help you to ensure you find the right style to suit your household’s requirements. One of the biggest decisions you might make when renovating your kitchen is what kind of oven and stove to have installed, such as a cook top combination, a double oven, stand alone, steam oven or wall oven. The good news is, once you’ve decided on and purchased the right styles for your new-look kitchen, the Modern Era Plumbing and Gas Solutions team will ensure your appliances are installed correctly. Modern Era Plumbing and Gas Solutions licensed plumbers are on hand to install a range of dishwasher styles and brands to suit your requirements. We’ll ensure the dishwasher unit fits perfectly where you want, so you can enjoy a meal in your new kitchen without having to worry about doing the dishes! Thinking about doing bathroom renovations and want to chat about your options? Halfway through the renovation already and need a licensed plumber to install or replace your bath, shower, or basin? Perhaps you want to remove an old vanity or basin and upgrade to a newer version with more bench space or a double basin, or maybe you want to move your current one to another spot and upgrade at the same time. Modern Era plumbers can cover the whole process for you – from removing your current vanity or basin to disconnecting the water, to fixing the final tap fitting onto your brand new basin. Baths can be tricky to remove or install, and Modern Era Plumbing and Gas Solutions’ plumbers are experts in the field. We can carefully remove your old bath and reconstruct or reconnect the pipes to suit your renovations or upgrade, and are capable of working with standalone baths or combined shower bath systems. Our plumbers can work with systems and fittings across the board. Whether you want to replace to revamp your old shower system, or implement a brand new shower, Modern Era Plumbing and Gas has you covered. Our plumbers can disconnect, relocate and reconnect shower pipe work, install all the fixtures, and make sure the water is up and running in no time.. From the taps to the drain to your brand new shower head, Modern Era Plumbing and Gas Solutions plumbers will look after it all. Modern Era Plumbing and Gas Solutions plumbers can install and replace bath, shower, and other bathroom drains for your renovations. We will remove and replace old drains or pipe work, or install new drains and pipe work to new locations in your bathroom. If needed, Modern Era Plumbing and Gas solutions can also unblock drains with the Hydrojet, help organise and undertake sewer junction or diversion works, or oversee a conversion from a septic system to a sewage connection. 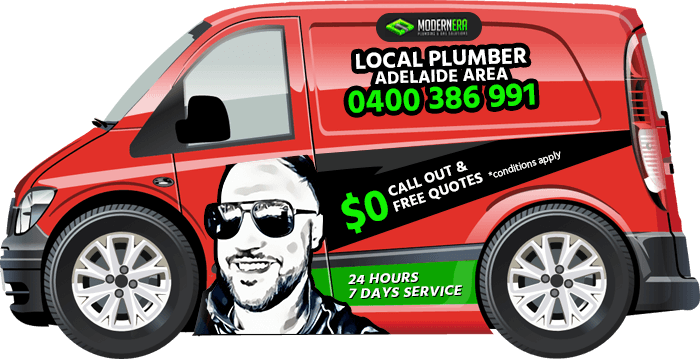 To find out more about our plumbing services, please contact Modern Era Plumbing & Gas Solutions!